Sky Filming offers a cost-effective way to maximise interest in your property. Our high resolution, professional aerial photography and drone videos show unique aspects of your property. Perfect for estate agents, holiday resort owners, commercial as well as residential property investors and private landlords. Making your architecture and landscape a selling feature is our main objective. We use the best technology and post production editing software to show the full beauty and potential of your property. Offering a full in house production services means we can offer you exactly what you need. Whether it is only a few un-edited photographs or video clips or a fully edited video with a soundtrack. Edited videos can be a simple fly around of your property, showing different aspects of the building and land, with some suitable background music. We can also capture footage on the ground, inside and out, with sound bites and interviews displaying titles and captions to created a semi or fully scripted video with integrated aerial shots. We work with you to bring you the best options to suit your budget and requirements. All photos and videos that we send you are yours to keep and re-use in future. If for some reason you are not happy with our footage, customer satisfaction is our priority, you are under no obligation to pay for our work. Some properties are impossible to photograph from the outside without the use of aerial photography. This is especially true for flats and apartments many floors up from the ground. Property Investors can further benefit from our camera drone being used to show panoramic views for soon to be built city apartments. Our drones have been used to show views from high rise apartments yet to be built. Our drone aerial photography platform can be used to provide photographs that were formerly impossible to obtain. We can provide views of balconies and other architectural details that will help make the sale. We can take high altitude shots of entire apartment buildings and their surroundings, or focus on a close-up shot of a single apartment on any floor - even when it's hundreds of feet in the air. 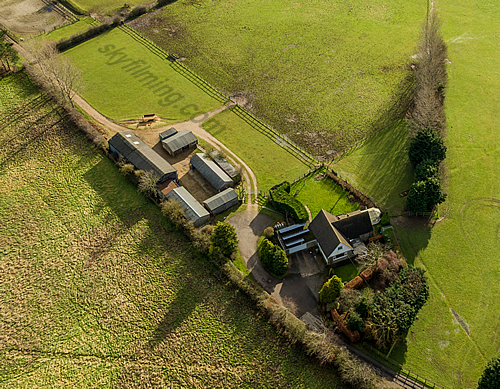 Aerial photography and video of large countryside estates, halls and warehouses can significantly increase the saleability of those properties. Showcasing the grounds from above, combined with a fly-over video edited to your needs can give potential buyers a unique experience. They can see the boundaries of your property at a glance. Aerial photography of estates and halls is particularly useful for potential investors who are often searching from afar. Seeing our aerial shots can often spur them into making the trip to consider the property in person.